What Potter fans can expect to find on our fashion-friendly wizards. Everyone is pretty used to the look of HP at this particular moment. In becoming familiar with nearly five movies, we're accustomed to seeing stars Daniel Radcliffe, Emma Watson, and Rupert Grint sporting particular looks. So what's in store for Movie 5? 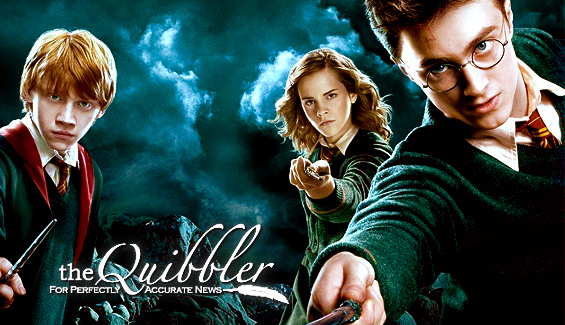 Harry: Harry sports a shorter haircut�a testament, perhaps, to his much more angry and emotionally charged character. This is perhaps the largest change to come from Radcliffe, and is easily the most noticeable element of Harry. Along with Harry's haircut, however, we see the young wizard wearing clothes Harry has been sporting for nearly three films�including, it would appear, jackets he's worn in previous films, and a few red t-shirts Harry seems to favor. As with all the Hogwarts wear, his robes are of a slightly new style. Ron: One thing to count on with Rupert Grint (and perhaps Ron) is that his wardrobe very rarely changes. Ron maintains his mop top of ginger hair that he first started wearing in Goblet of Fire. Since the Weasleys are poor, we can expect to see Ron in some of his too small clothes, and slightly worn hand-me-downs, throughout the movie. Hermione: Lovely Emma Watson grows prettier with each film, as does Hermione, though her clothing changes won't be so dramatic as the brain-to-beauty transformation she had in the last film. Hermione's hair is shorter, and perhaps a little more blonde, but her clothes are very similar to those she wore in Prisoner of Azkaban--in fact, her Ministry of Magic outfit is very similar to one she wore during the middle of POA. Corduroys and jumpers seem to be the sensible Hermione's clothes of choice. Ginny: Pretty Bonnie Wright is beginning to display a great deal of teenage beauty, and Ginny's more mature outfits seem to reflect that. She will dress with a more modern edge than Hermione. Luna Lovegood: the newest Phoenix castmember, Luna Lovegood, is about as close as book descriptions come to a character. Young Evanna Lynch's hair, makeup and outfits coordinate perfectly with her paper counterpart, all the way down to Luna's slightly off-kilter wardrobe and her radish earrings. Voldemort: Though Voldemort strikes most of his scenes with his dark black robes, in a few dream sequences we do get a taste of a slim cut black suit, which is a devilish take on his wicked appearance. Sirius Black: Sirius maintains his appearance from POA, looking a bit wild and overexuberant in his Phoenix promotional images. Fitting for a man who is on the run. Umbridge: Dolores Umbridge, played seemingly to perfection by Imelda Staunton, will heighten her too-sweet-to-be-believed character with pink suits and frills. It is sickeningly perfect. 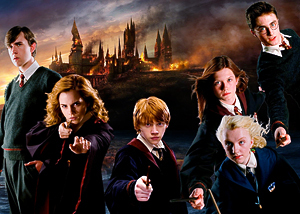 Make sure to catch all the fabulous styles when Order of the Phoenix opens July 11th.